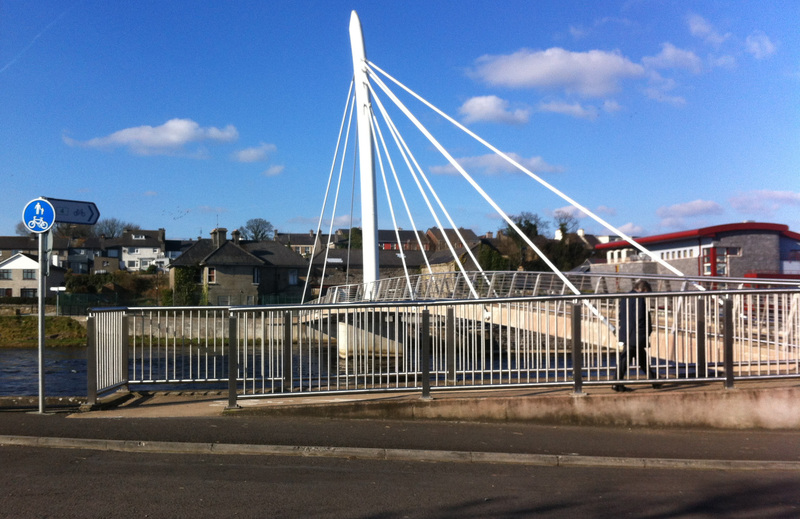 After spending nearly €1.5 million on this pedestrian bridge over the River Moy adapting it for cyclists was easy: just add a shared use sign and a bicycle logo on the ground. Forget about the kerb between the road and the bridge. No need for a small ramp for easy access — as we know all cyclists use mountain bikes and can easily mount the kerb.